As your business grow, you may reach a point where you need more professional financial advice, but can't afford a full-time CFO or controller. If you are fortunate enough to be in this situation then BBS has the perfect solution for your business. The cost of hiring a full-time CFO can range from $100,000 to over $500,000 but our CFO Services can give you the expertise and experienced support at a small fraction of that cost. Our CFO Service provides you with an expert finance professional who can help guide your company to greater success. Improved timeliness and quality of financial information. Detailed profitability and expense analysis by service or product line. Managing and Training of your finance and accounting staff. The confidence and peace of mind that come from knowing that a finance professional is protecting, overseeing, and constantly improving the accounting practices and financial aspects of your business. Tax compliance services and federal, state, and local tax saving strategies. New insights into your business’ accounting and financial strategy including a someone to talk to about those difficult business decisions and assist you in clarifying you clarify your business strategies and plans. Economic, customer, and financial trend analysis. Help in developing and defining long-range goals and the quantification and implementation of strategies and plans. Cash and treasury forecasting and management. Significantly improved decision-making capabilities by having better information and insights to guide your business. Assist in developing and maintaining relationships with bankers, attorneys, vendors, insurance agents, etc. Improved understanding of the accounting and financial side of your business. You will have less surprises and more control over your cash flow. Establishment of strong financial controls for your business to reduce employee mishaps and theft and increase profitability and success. Help in sourcing, negotiating and monitoring of financing from various financial institutions including banks, credit unions and finance companies. Free up more of your time to focus on growing your business, developing new products and services, recruiting new customers and other core business issues. Sourcing and negotiation of insurance policies. Development of company finance policies and procedure manuals. 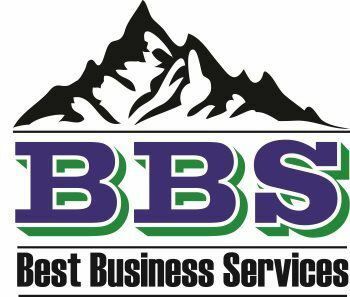 BBS understands your business challenges and the need to close the gap between strategy and execution. Our time-tested integrated approach looks at your business from various perspectives including your customer and all groups that touch them. Best of all, we are an affordable solution as a part-time CFO since you get all the expertise you need without having to hire a full-time and expensive CFO.